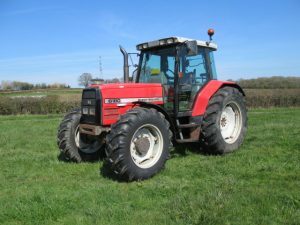 MASSEY FERGUSON 6180 Dyna Shift 4wd Tractor 1995, 4wd Dyna Shift tractor; 8678hrs; straight, tidy tractor with 80% rear tyres and 60% fronts. 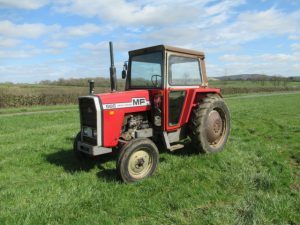 MASSEY FERGUSON 565 2wd Tractor 1976, 2wd Tractor with 8 speed gearbox, power steering; 9677hrs; same owner since 1979. 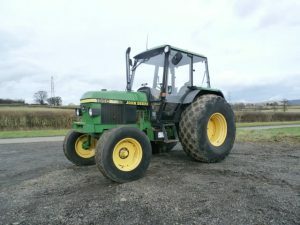 JOHN DEERE 5500 4wd Tractor 2001, 80hp, 40k, 4wd tractor with creep gear; 10400hrs but looks and drives like a 3000hr tractor. 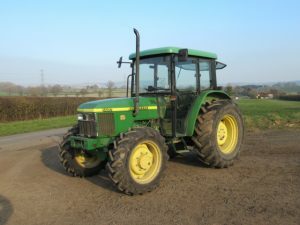 JOHN DEERE 6400 4wd Tractor 1992, 40k 4wd tractor with air con; 7894hrs. FENDT 395GT Toolcarrier 4WD Tractor 1998 Toolcarrier 4wd tractor; 8,203 hrs. 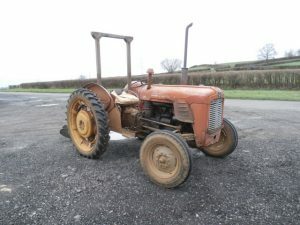 MASSEY FERGUSON 35 2WD Tractor 1961 2wd, 3 cylinder tractor with original registration document; used in small veg business (No VAT). 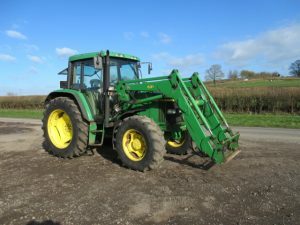 JOHN DEERE 1950 2WD Tractor 1994 2wd tractor with creep gears & grass tyres; 5,462 hrs; one owner.